The memory of those we’ve lost will carry on within those they’ve known and/or inspired. Everyone leaves an indelible mark on the people whose lives they’ve truly touched, whether it was for a short or long period of time. People within all walks of life can inspire personal growth and positive change in someone and their status in life is irrelevant. It’s who you are with others, how you treat them and in turn how they respond that makes the difference. 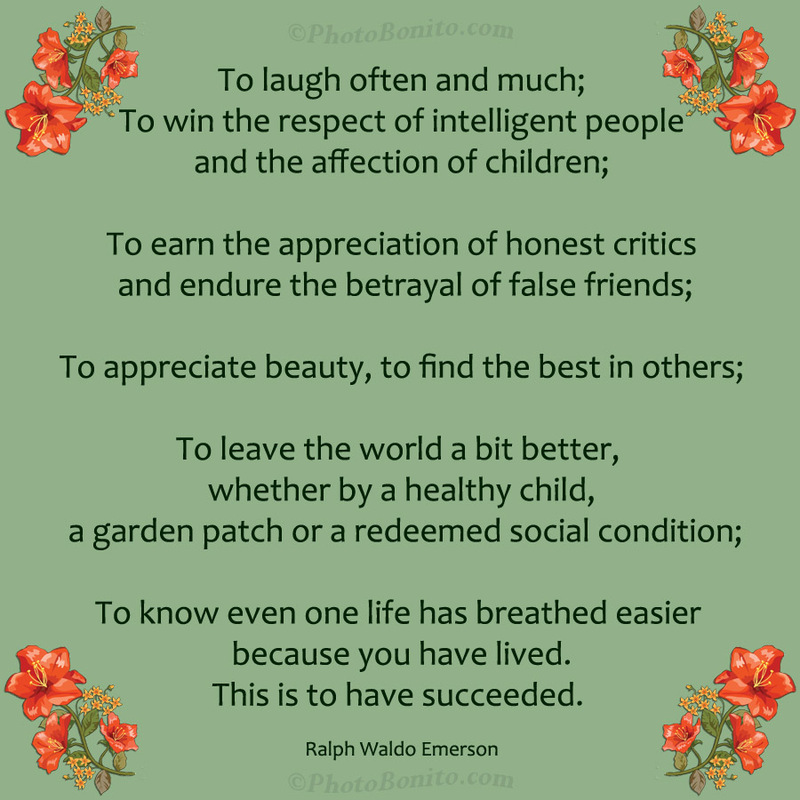 My #1 mantra in life as quoted by Ralph Waldo Emerson below is the mark I want to leave. I know I’ve quoted it often but it bears repeating for they are truly words to live by and aspire to. What got me thinking about this particular topic have been all the awards shows that have been airing in the last couple of weeks. There is a certain point in every awards show that is my favorite moment for two reasons and both touch opposite sides of the emotional spectrum. It is the point when acknowledgement of those in their industry that they have lost for that specific year are remembered. I’m Happy, because they are being honored for their contribution and because I’ve have had the opportunity to see the beauty of work they’ve created through their unique style of artistic expression. I’m Sad, because they are gone and I won’t see their specific brand of artistic expression again and especially so when the loss is at an earlier age. 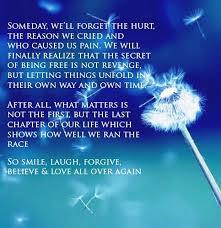 All life is valuable but the loss seems to feel greater when there was so much more life ahead. Even though they are gone it is likely that they’ve inspired one or many other artists in one way or another and through that inspiration emulation of the admired aspect will allow that artist to have some version of themselves live on through the generations. The reason we know of them is not because they are greater than others but because the profession they have chosen to enter into is highly publicized. I use the entertainment/celebrity world as contrast here because there are many people that touch and affect our lives and even though they aren’t highly publicized in life it doesn’t diminish the mark they’ve left. That is evidenced every day through the various expressions of remembering and memorializing our loved ones so that our most cherished memories of them continue to have positive influence in our lives. I believe that one of the most influential figures of this time has been Princess Diana, obviously not everyone in the world met or had a connective bond with her personally but her impact globally was epic. Assumably for most, like myself, I had developed an attachment, an appreciation for her not only because of what she presented but because that presentation was authentically herself without any excuse and that is what made her real, we could identify with her on many levels. Similarly I can develop just as much appreciation but to a greater extent for those that I have personal connection to and their impact on me is stronger because of that close connection. Connection to others through whatever wavelength you channel has the opportunity to grow and strengthen the bond as time and shared experiences evolve. 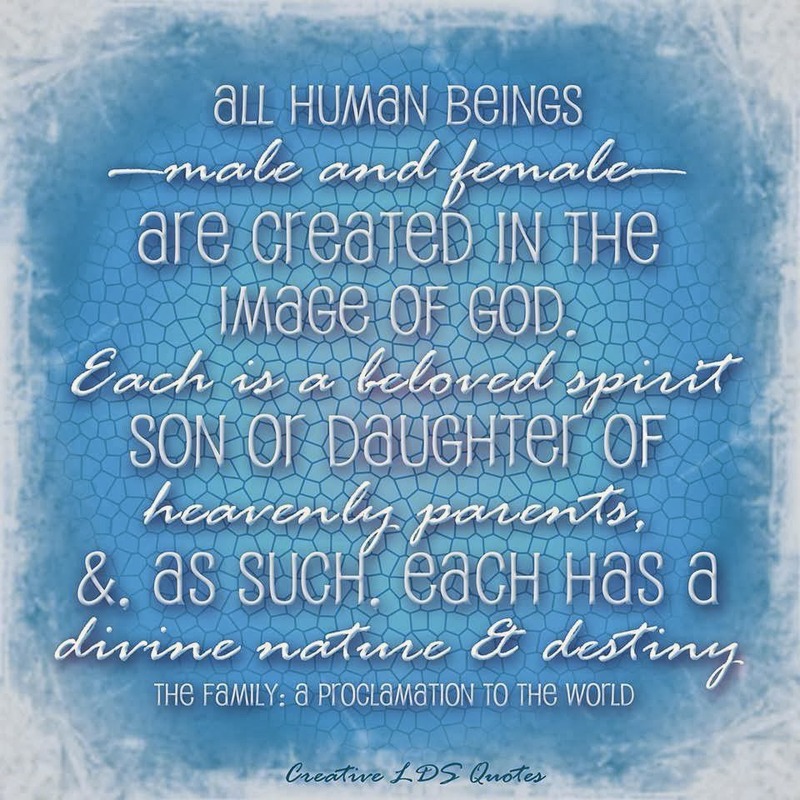 Each of those connections leave imprints on our psyche and in our hearts that transcend beyond the physical world. I am a creative mix of my family and heritage as well as the environment I grew up in, influenced by many people that have left their mark in my life even if they weren’t aware of it. I’ve had the pleasure of observing and learning from people that have had such a positive influence on my life just by modelling aspects that I admire and aspire to emulate. These qualities that I have most admired in these people have helped shape my personality and enriched my life and in that regard some version of them will live on through me because of it.